Mark formed Sugarpine Engineering from his kitchen table in January 2012 to meet the demand for accurate, sustainable engineering, energy evaluation, and commissioning in northern California and Nevada. Mark spent the prior 13 years working his way from Colorado to Montana to Senior Associate and California Branch Manager at Beaudin Ganze Consulting Engineers, a 90-person Colorado-based MEP firm. Over the past decade, he’s built a vast knowledge of construction in extreme climates, field engineering, energy analysis, Revit, field commissioning, project management, and project contracting. Mark brings this expertise to Sugarpine, plus he’s worked with many desert and mountain resorts, building campus, government facilities, industrial plants, hotels, high-end lodges, and extremely high-end award-winning residences. His work also includes seismic, envelope and snow evaluations. 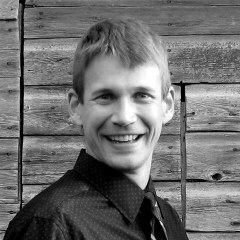 While working in Montana for CTA Architects Engineers, a 300-person firm focusing on cold-climate architecture, Mark worked directly with architects, giving him a thorough understanding of architectural and structural interactions, ice/snow, and envelope thermal performance. Mark ensures real engineering and evaluation are incorporated into every project to the greatest extent practical. He has designed and consulted on dozens of LEED projects.